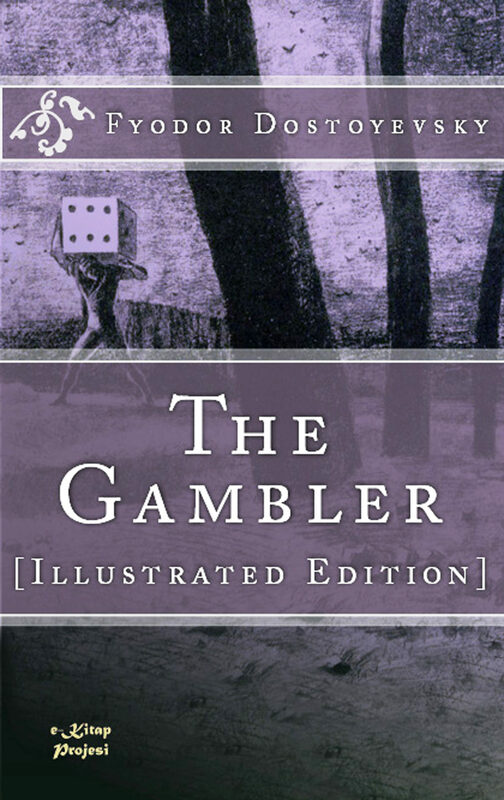 The Gambler is a short novel by Fyodor Dostoyevsky about a young tutor in the employment of a formerly wealthy Russian general. The novella reflects Dostoyevsky's own addiction to roulette, which was in more ways than one the inspiration for the book: Dostoyevsky completed the novella under a strict deadline to pay off gambling debts. The first-person narrative is told from the point of view of Alexei Ivanovich, a tutor working for a Russian family living in a suite at a German hotel. The patriarch of the family, The General, is indebted to the Frenchman de Criet and has mortgaged his property in Russia to pay only a small amount of his debt. Upon learning of the illness of his wealthy aunt, "Grandmother", he sends streams of telegrams to Moscow and awaits the news of her demise. His expected inheritance will pay his debts and gain Mademoiselle Blanche de Cominges's hand in marriage. Alexei is hopelessly in love with Polina, the General's stepdaughter, and swears an oath of servitude to her. He told her while on a walk on the Schlangenberg (a mountain in the German town) that all she had to do was give the word and he would gladly walk off the edge and plummet to his death. This leads to her asking him to go to the town's casino and place a bet for her. He refuses at first but, when goaded and reminded of his oath of undying love and servility, he succumbs and ends up winning at the roulette table. He returns to her the winnings but she will not tell him the reason she needs money. She only laughs in his face (as she does when he professes his love) and treats him with cold indifference, if not downright malice. He only learns the details of the General's and Polina's financial state later in the story through his long-time acquaintance, Mr. Astley. Astley is a shy Englishman who seems to share Alexei's fondness of Polina. He comes from English nobility and has a good deal of money. One day while Polina and Alexei are on a walk they see Baron and Baroness Wurmerhelm. Polina dares him to insult the aristocratic couple and he does so with little hesitation. This sets off a chain of events that details Mademoiselle Blanche's interest in the General and gets Alexei fired as tutor of the General's children. Shortly after this, Grandmother shows up and surprises the whole party of debtors and indebted. She tells them all that she knows all about the General's debt and why the Frenchman and woman are waiting around the suite day after day. She leaves the party of death-profiteers by saying that none of them are getting any of her money. She then asks Alexei to be her guide around the town famous for its healing waters and infamous for its casino where the tables are stacked with piles of gold; she wants to gamble. After being ushered to the roulette table, she plays and wins 13,000 Friedrich's d'ors (7000-8000 roubles), a significant amount of money. After a short return to the hotel, she comes back to roulette tables and she starts to get the bug; before she leaves the town, she's lost over a hundred thousand roubles in three days. Major Characters: - Alexei Ivanovich, tutor of General's young Children Nadjenka and Misa - The General, Sagorjanski - Polina Alexandrovna Praskovja, General's stepdaughter - Antonida Vasilevna Tarasevitcheva (Grandmother) 'la baboulinka', General's aunt Mademoiselle Blanche de Cominges, a.k.a. Mlle Celma, a.k.a. Madame Berberina, a.k.a. Mlle du Placet - Madame la Comtesse de Cominges, Mlle Blanche's mother/chaperone, a.k.a. Mme du Placet - Marquis de Criet, Des Grieux - Mr. Astley, nephew of Lord Piebrook - Maria Filippovna, General's mistress? - Potapyts, Grandmother's butler - Fedosja, General's nanny - Marfa, Grandmother's maid - Baron and Baroness Wurmerhelm - Prince Nilski - Albert, army officer in Paris, Mlle Blanche's lover. Otros ebooks de FYODOR DOSTOYEVSKY.